Over the last few years companies in B2B and B2C discover social media channels not only to engage with their customer but also as an additional revenue stream. Often, I was asked is it worth to use social media channels. Generally speaking, I say yes but it needs an effort in terms of time & money and most important a clear strategy. Before you start digging into the social channels make sure you know exactly what you want to do and what kind of goals you like to achieve. This article will walk you through my recommendations for using Instagram. Apart from your image, your hashtags are a valuable element of your post. While a headline help you tell the story behind your image, hashtags allow you to get your post seen by “instagrames” who do not follow you yet. When users search for relevant industry-related hashtags, you want your posts to show up. That is why you need a consistency in your hashtags off- and online! If not, there’s a good chance your competitors will benefit from your work. Target new followers with a set of different hashtags. Some of the most commonly used are #followme, #follow4follow and #follow. It is basically a converting funnel. First you start with a more broad hashtag approach and than you narrow it down to more specific but relevant ones. Now, use a bunch of hashtags on each post or test what hashtags are working best. It might be a good time to to an A/B testing. Don’t worry about using too many hashtags. There is no golden rule regarding the number of hashtags used in posts. Posting the same types of content over and over again (this is the case on all social media platforms, not just Instagram) can be boring not only for you but also for the user. You should have a wide range variety in your postings not only product shots or selfies. The engagement with existing and potential users can be done in may different interesting ways. Here are a few suggestions that you can try. Analyze the engagement rate and see which one might work for you. Holiday-themed images and videos e.g. Christmas, Easter, Halloween etc. As you decide what to post, it’s also important to consider which strategies are most likely to get your photos liked and commented on. Below you and a number of advises that help you with an increase of engagement rate. You might also consider to hire a professional photographer which has the eye and skills. You never have a second chance for a first impression! At the end Instagram is a social network platform to form relationships with other users. It is less about posting only to your followers » Participating and Forming a community around your channel. You remember it needs an effort time and money wise! Using Hashtags (see above) is only one way to build your community. Liking and commenting other people’s posts is an other way to engage with potential users. It is a great way to explore that channel on a deeper level and you might come across some users you may never have met. Participating in Instagram campaigns intended to further a worthy cause can help you contribute to a greater good (#movember is a great example of a cause perfectly suited for a visual-centric platform like Instagram). Sharing images and videos from events can help your followers feel like they’re in on the action, and are a real part of your community. Usually, you start from scratch and you have to follow people back unless you have a well-known brand. As I stated above it is not only to follow users back but also participate in their community. It is more likely that these users will participate in your community as well. While logged in, go to your profile page and click in the top right hand corner the “setting wheel”. Tap on ‘Find Friends’ to follow people on your Facebook friends list, contact list and suggested users list. Search for people or companies you know using Instagram’s search bar. Find people you might like to follow via Instagram’s Search and Explore feature. Follow users who are following influencers in your industry. Search for industry-related hashtags. This is perhaps the most effective strategy for finding targeted users to follow in your niche. Use a Search Engine like Google to find influential users in your industry. 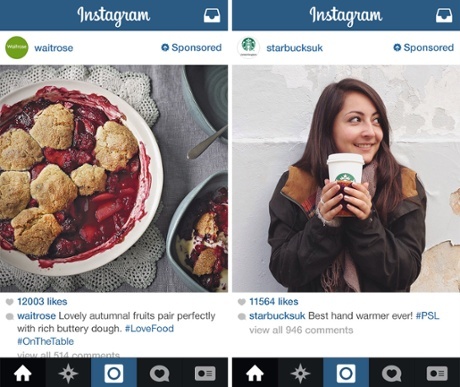 Instagram allows alls businesses to advertise on the platform since Autumn 2015. Follow the link below for further instructions. So what is the best time to post on Instagram? There are a lot of different opinions with their facts. My advice to you is to play around with days and times. If you target different countries or continents you definitely have to consider different behavior. However, one thing is for certain. Instagram is used mobile. Therefore, users have always the possibility to be online. I would suggest you start with Monday and Thursday as this two days are considered good engaging days also with other social media channels. Regarding time you have to try and play a little bit. Concerning your post frequency. I would start with a couple a time a week and then gradually increase the frequency until you hit the point where the engagement of users is dropping, scale back until you reach the optimal level. Using your data tell you a lot about your target group. There are may tools around that you can use to gain insights from your hard work. This part is usually underestimated. In order to understand your customer you need to collect as much as possible. This will help you to predict future engagement and this could generate leads for your business. So, do not keep that part untapped! Make sure you keep your profile up-to-date and stay professional, include your company logo and the physical address. Sometimes I come across some sloppy business profiles. I hope the above listed recommendations have given you the motivation to start utilize Instagram as part of your digital marketing tools – it can be a valuable channel for your business. Now what do you think? Any comments are appreciated. Previous postOne chapter ends, a new one begins!